About ten years ago, when I knew just enough about wine to be dangerous, I was browsing through a wine shop and found a half bottle of Sauternes for $10. It was Baron Philippe Rothschild, and it was obviously marked wrong. I picked up another random bottle of red and went over to the counter. The owner was working that day, an older French-Lebanese guy I got to know better over the following years. 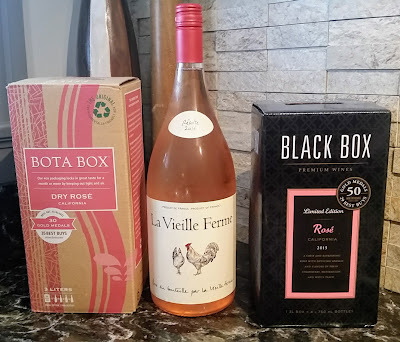 He rang up the boring red, and then paused on the Sauternes. "This is the wrong price... Do you know what this is?" I spoke a bit about botrytis and monks and whatnot, and he laughed, and said, "OK, I will sell this to you for this price, even though I'm losing money. BUT--" he grasped my hands "--you have to open this up with a beautiful woman, and drink it with some fresh fruit and good cheese. Do this for me, and you'll honor the wine." I had Sauternes and foie gras for my birthday treat. It's a little slice of heaven. Couple of comments. Wines like this are exceptionally hard to make. Extremely labor intensive and low yields. 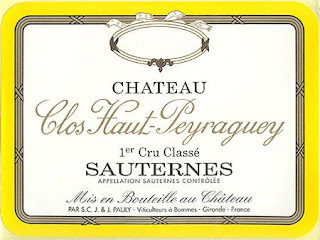 Nobody makes money selling Sauternes or Sauternes style wines. Yquem operates at a lost many years. Think of that when you're buying them. They're a labor of love and art since nobody gets rich making Sauternes. Neat story, Benito -- I didn't even know that Rothschild made a Sauternes. I'd certainly echo that advice. James, if they're running at a loss for all these years -- how do they stay afloat? Is it just the name and the tourism? Mike: Yquem is owned by LVMH, a French holding company that owns ~60 of the most luxurious brands in the world. Moet & Chandon, Dom Perignon, Veuve Clicquot, Yquem, Hennessy, Glenmorangie, Fendi, Donna Karan, Louis Vuitton, Marc Jacobs, Sephora....all LVMH subsidiaries. Yquem is such a tiny, tiny fraction of that business that they operate at a loss most years to offset profits in other divisions. In the years they do turn a profit, it's barely a drop in the barrel. 5, 6, 7 tries through the vineyard, picking bunch by bunch over the course of a week or two. The more botrytis sets in, the lower the yield and the more concentrated the wine. Pick too soon, and you've average wine. Pick too late and you risk losing your entire year's production. A couple of humid weeks in October causes grey rot instead of noble rot, and you lose the entire yield. That's why Yquem is routinely the finest - they can afford to wait until the very last second to pick, and if they wait too long and the harvest is ruined, they simply don't make wine that year. No big deal, they just write off the year's worth of losses and start over next spring. That happened 10 times last century, so about once every 10 years or so, they make no wine at all. Making good Sauternes and good Sauternes style wine is for the masochists. It's extremely difficult, risky, and labor intensive and you produce tiny amounts of wine/hectare. As expensive as they are, they're dramatically undervalued given the quality, the risk associated with making them, and their ability to cellar for 100 years. 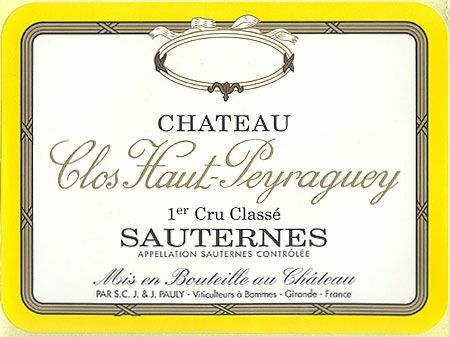 Clos Haut-Peyraguey is a little known but very good 1st Growth Sauternes just over the road from d'Yquem. 2001 is also a great vintage so you were prretty close to heaven at a fraction of the price! They now have a great young winemaker in Anthony Defives and are making very serious stuff. The 2007 and 2009 were very good and it is looking good for 2010 too.